Bouncer Rentals...everything you want, the way you want it! Welcome to SCV JUMP N SLIDE! Bounce house rentals are taking the world by storm. People often don't know what to call them though: bounce house, moonwalks, jumpers, bouncers or even a kids party inflatable thing. We call them fun and we have a great selection with all of your favorite characters. We also have inflatable slides, water slides, chairs and tables, and concessions including: popcorn machines, snow cones and cotton candy. So whatever you want to call them...give us a call or reserve on-line and we promise a great time. 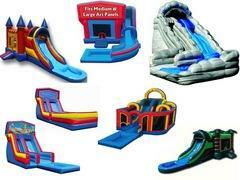 Welcome to SCV Jump N Slide ~ Santa Clarita Party Rentals! 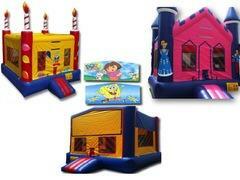 Need a Bouncer, Jumper, Water Slide, MoonBounce, Jumpie, Inflatable or a Bounce House in Santa Clarita Valley?? 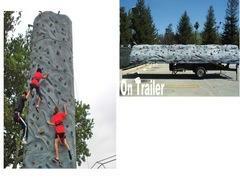 SCV Jump N Slide has what you need for your next jumper rental. We offer FREE DELIVERY, SETUP, and PICK UP of any rental in the Santa Clarita Valley. We are FULLY INSURED and LICENSED, so no matter where you want to have your jumper party, we will be there for you. We also CLEAN and SANITIZE all our equipment BEFORE and AFTER all rentals so your children are safe. SCV Jump N Slide services all of Santa Clarita Valley, California cities including: Castaic, Valencia, Stevenson Ranch, Newhall, Canyon Country, Saugus & Agua Dulce. SCV Jump N Slide provides rental services for all occasions... House Party, Church Events, Block Parties, Parks, School Functions, Festivals, DayCare Centers, Company Picnics, Birthday Parties, Carnivals and more!! SCV JumpNSlide is the #1 Jumper and Party Equipment rental company in the Santa Clarity Valley. Licensed and Insured. Accepts cash and all major credit cards. 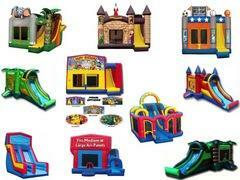 SCV JumpN'Slide - The best deals on bouncer and party equipment in the Santa Clarita Valley. Call us today! Thank You For Choosing SCV Jump N Slide for your Party Rental Needs!